Both of these DSLR camera bodies are excellent choices for experienced to professional photographers. However, it can be hard to choose which is better with the Nikon D750 vs. the D850. There are some big leaps in terms of technology with the D850. Those include Nikon’s flagship autofocusing system, the 4k video and 8k time-lapse video. But are these changes worth the steep price jump? The answer is complicated. It is different depending on how you plan on using your camera. The added features on the D850 are unbelievably useful for videographers and action photographers. However, they won’t make a huge difference for everyday photographers or journalists. We’ll explore this question in this comparison guide. We will look more closely at the following features and categories. The Nikon D750 is considerably smaller and lighter than the D850. That makes it a better choice for everyday photography and long walking trips. It weighs 840 grams, which is about 17% lighter than the D850’s weight of 1015 grams. The D750 measures in at 141 mm x 113 mm x 78 mm. The D850 measures at 146 mm x 124 mm x 79 mm. The Nikon D750 has a few advantages. Those include a built-in flash, better low light ISO performance and a pixel area that is 88% larger. The D850 is clearly a step above, however. It boasts a touch screen and a battery that lasts 1840 shots vs. the D750’s battery life of 1230 shots. It also includes a flash sync port, which the D750 also lacks. The D850 shutter life expectancy is also quite a bit longer. It is 200,000 cycles vs. 150,00 cycles for the D750. The D850 also has illuminated buttons, which, while not necessary, is a nice perk. Both DSLRs are also weather-sealed. That is important for any use beyond very casual photography. The D850 has almost double the megapixels, at 45.7 MO vs. 24 MP for the D750. This makes the D850 Nikon’s highest-ever resolution body, meaning it can easily create images A3 or larger that can be heavily cropped without sacrificing quality. The D750 also takes very high-resolution images, but there isn’t as much room for cropping. The D750’s ISO ranges from 100 to 12,800, while the D850 ranges from 64 to 25,600. While you are unlikely to use your camera at such high ISO’s because of noise pollution, it is nice to have the option if you want to shoot in black and white in low-light situations. The lower ISO on the D850 definitely would come in handy however. Both DSLRs support JPEG or RAW files, but since files are so large on the D850 because of the higher resolution, the camera also offers Medium RAW or Small RAW file size options. This can be helpful for managing memory while you are shooting and also helping your computer to handle the files later. Despite the larger resolution, the D850 is the faster between the two camera bodies, with a capability of shooting 7 frames per second, compared to the D750’s 6.5 frames per second. This makes it a great option for action, sports or wildlife photography. Both cameras are pretty even when it comes to which is better as far as LCD and view screens. Both have optical pentaprism viewfinders and 3.2” articulated LCD screens, with an additional top LCD screen. These additional features all make changing settings on-the-go painless, and are hard to live without once you get used to having them on your DSLR. The D850 does have a much higher resolution LCD screen, with 2.359k dots vs. 1.229k dots on the D750. This helps give you a better idea of what your photo will look like on your photo editing monitor, but the D750’s screen certainly isn’t lacking even though it has a lower resolution. When it comes to LCD screen and viewfinder, the differences between the D750 and D850 are unlikely to make a big difference in your shooting experience and are relatively minor as far as how they fit into the overall picture. The D850 once again beats the D750 when it comes to autofocus, this time by quite a bit. While the D750’s 50-point autofocus system and 15 cross-type focus points certainly isn’t amateur-level, the D850 has a robust 153-point autofocus system with an amazing 99 cross-type points. This is the same system as Nikon’s flagship D5 body, which is unparalleled in the brand for wildlife and action photography. With so many cross type autofocus points, the D850 is able to focus faster, maintain focus during continuous shooting and focus in more diverse situations. The D850 also has a few added features, such as a new setting that lets users set different brightness levels for image playback and live view, and live view focus peaking. These are particularly helpful if you are interested in low light or nighttime photography. If you are interested in nighttime photography, neither system is sufficient for metering light by starlight, despite the D850’s vastly stronger AF system, so remember to bring your light meter. Both cameras are also excellent choices for portrait photography, as they come with built-in face detection focus. The D850 once again performs much stronger when it comes to video, with a max resolution of 3840 x 2160, vs. the D750’s resolution of 1920 x 1080. The D850 also has the ability to create 8K time-lapse videos, where the D750 does not. The built in microphone and headphone jacks are almost a necessity if you want to shoot audio, as they allow you to monitor in camera audio and use an external microphone for much higher quality audio. The D850 can shoot MPEG-4 or H.264, while the D750 can only shoot MPEG-4. While the D750 is unable to shoot 4K, it does offer Full HD up to 60 p. The D850 shoots faster frames however, which allows you to slow the footage down to create dramatic slow-motion sequences. The D850 also has improved autofocus in lower light, which is handy when shooting video indoors or at concerts or shows. The dual SD slots in both come in handy for photographers who shoot both stills and video, as they can store and use both cards simultaneously. Both DSLRs are pretty strong when it comes to built-in extras and capabilities. They both come with built-in WiFi, while the D850 has the added benefit of built-in Bluetooth. They also both have external flash shoes, dual SD slots, which are hard to live without if you’ve ever had this feature on a camera before, and UHS memory card support. Both bodies can also do time-lapse recording, which can be fun for photographers who want to experiment with creative shooting. Both the D850 and D750 allow smartphone remote control, which can come in very handy if you want to set your camera up for sports, wildlife or nighttime photography and operate it from a slight distance. Neither comes with image stabilization in the body however. The D850 has the added benefit of having the Expeed 5 processor, vs. the Expeed 4 in the D750, but both have full-frame sensors, and perform well in a range of different situations. 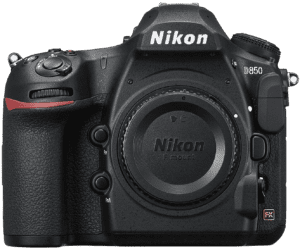 The D850 comes with many of the top systems from Nikon, such as their flagship autofocus system and the highest MP resolution available, and has a wide range of D850 compatible lenses. It’s certainly clear that this camera is hard to beat. 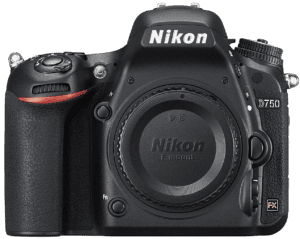 The D750 is also a very good DSLR however (with an equally good selection of D750 lenses), and, given the fact that it tends to cost about half as much as the D850, is often a better choice for photographers (though nowhere close to the price of a budget-end DSLR). 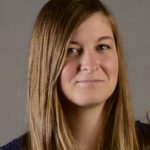 Consider how you plan to use your camera before you make your choice. If you are planning to use it primarily for shooting video, action, sports or wildlife photography, the D850 is the clear choice. If you are using it for photojournalism, everyday photography or portraiture, though, the D750 is just as good. Great comparison, I have the D750 at present – I would love to have a D850 but the price difference really is too big a leap. I really like the sound of the D850’s silent shutter function, this only works in live view apparently, but then the touchscreen really would help with that.